During netball I bent my finger back too far and broke my little finger. It really hurt and my fingers swelled up and went dark blue! I went to the hospital and the nurses and doctors were really nice. The nurse who saw me really liked Harry Potter as do I. 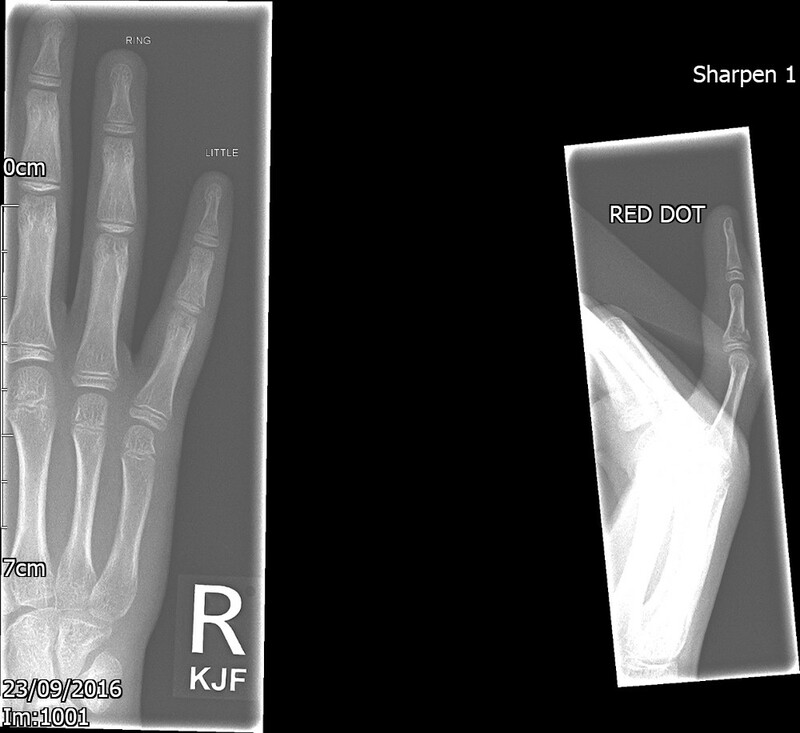 They x-rayed my hand, and you can see a small piece of bone that has broken off my finger. They strapped up my hand and put me in a sling. It was quite exciting as I have never broken a bone before! This entry was posted in Adventure and tagged broken finger, hospital. Bookmark the permalink.